Stony Brook School offers a joyful, creative path for young children to enter into an engaged learning community, and to develop the foundation and skills that will inform a lifelong love for learning. Aligned with the Reggio Emilia approach, we aim to inspire innovative, collaborative and critical thinkers. 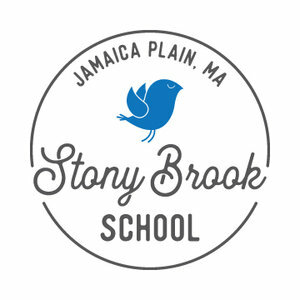 Stony Brook School is a mindful vision, where children will see and understand themselves as a valued, contributing members of a caring community. Our emergent, project and play based curriculum arises from children's natural interests and developing skills. Our warm, inviting classrooms are thoughtfully curated to inspire movement, curiosity, and inquiry, alongside urban explorations that celebrate our local neighborhood and partnerships. We invite you to learn more about our school and schedule a tour to see us in action. Learn more about our Reggio inspired school. Learn about our preschool program options. View a day in the life at Stony Brook School.